Slack, billed as the fastest-growing business messaging platform of all time and valued at $2.8bn (£1.9bn), has hired London-based PR agency Marlin as it targets expansion across Europe. The messaging platform business from the creators of Flickr, which has its headquarters in San Francisco, is looking to increase brand awareness and sales in the UK and Europe. Marlin PR is to run an integrated campaign to promote Slack. This will include corporate and technology profiling, influencer engagement and providing case study examples and thought leadership to drive business. Julia Blystone, head of PR and comms at Slack, had previously worked with Marlin in other roles. Based on her positive experiences with the agency, Marlin was approached by the client to take on the brief and no competitive pitch was held. "Managing an agency remotely, particularly across continents, can be challenging, but Marlin always feels like a true extension of my team," Blystone said. 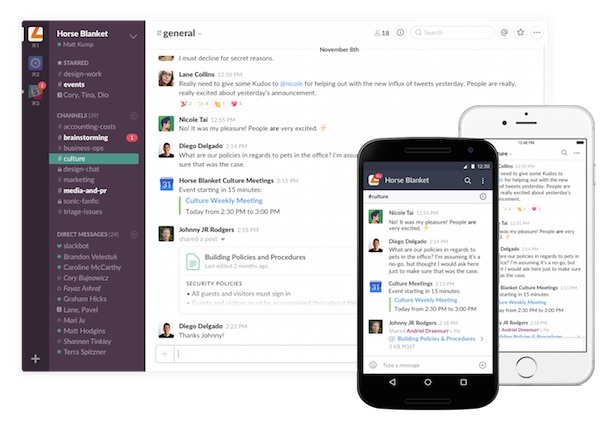 Slack, which has raised $340m (£226.5m) from investors to expand, has two million active daily users and 570,000 paid users, with user numbers growing tenfold in the past year. In total 800 million messages were sent using the service in July this year, against 290 million in January 2015, the group said. Slack was co-founded by Stewart Butterfield, who co-founded Flickr.